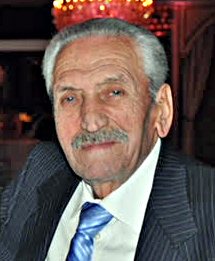 Giuseppe "Joe" Rubino, 87, passed away on Monday, January 21, 2019. Born in Sassano, Salerno, Italy, Mr. Rubino came to the United States in 1958 settling initially in Jersey City before moving to Clifton in 1983, residing there since. Prior to retiring, he had been employed as a School Traffic Guard for over 20 years with the City of Clifton and before that was the proud co-owner of John and Joe’s Service Station Station located on Newark Avenue in downtown Jersey City from 1972 to 1997. Mr. Rubino was a parishioner of St. Philip the Apostle Church in Clifton and was devoted to Holy Rosary Church in Jersey City. Mr. Rubino was the beloved husband of Rachela Rubino; he was the devoted father of Gennaro "Gene" Rubino, Esq. of the Hudson County Prosecutor’s Office and his wife, Lucy Rubino; cherished grandfather of Julia Rachel Rubino and Joseph Thomas Rubino; loving son of the late Gennaro and Carmela Rubino; dear brother of Frances Trotta, Vincent Rubino, Anthony Rubino and the late Joseph John Rubino. Visitation is on Thursday, January 24, 2019, 2:00 to 4:00pm and 7:00 to 9:00pm at RIOTTO FUNERAL HOME & Cremation Company, 3205 John F. Kennedy Blvd., Jersey City, NJ 07306 (www.riottofh.com). Funeral will begin on Friday, January 25, 2019, 9:30am at the funeral home. Funeral Mass will follow 10:30am at Holy Rosary Church, Jersey City. Interment at Holy Name Cemetery, Jersey City.